With the end of exam marking and report writing almost in sight, most of you will be looking towards a well earned holiday. I did however, want to send a final e-newsletter for the year, with details of DAN's 2012 PD Workshops, along with some resource ideas to help with your planning for next year. Warm Yuletide thoughts from the DAN Team! This full day workshop will explore ways of making religious concepts accessible and meaningful to students. It will model units of work that are academically rigorous and existentially relevant to the deep concerns of our students, and provide opportunities for participants to develop units of work together. The 26th issue of Dialogue Australasia journal has been posted with 2012 Renewal Invoices. If you did not receive your copy/invoice, please contact the DAN EO. This resource appeared as an article in the 26th Issue of Dialogue Australasia and supporting teaching materials are available for download by DAN members. 2. WALL-E Yr 6 Teaching Unit: What does it mean to live a fulfilled life?' by Susie Brooke-Smith, RAVE Teacher, St Peter's College SA. Many schools have recently ordered the fantastic, classroom ready resources from EthicsOnline, specifically designed to assist teachers in delivering dynamic lessons on contemporary key ethical issues. 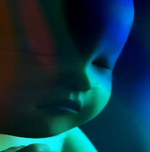 A new series of films exploring the ethical, legal and religious dimensions of the abortion debate with accompanying teacher's notes was released in August 2011. As with all the EthicsOnline films (Environmental Ethics, Sexual Ethics, War & Peace), Australasian payment options and postage are available exclusively through DAN. A joint project between ABC National Radio, Religion & Ethics & Encounter, this website includes a transcript of the Sense of Awe Programme with luminaries such as John Lennox (Oxford mathematician and one who does public battle with the new atheists). The Project's website also includes a Blog (with provocative awe-inspiring posts) and articles and interviews about all matters science, faith and wonder. A new database of useful websites for Secondary RE with accompanying activities for the classroom is a helpfull resource from the team at RE Today. is a new multimedia resource for teaching secondary RS (linked to the UK GCSE curriculum, but widely useful). If you are not familiar with the excellent FARADAYSCHOOLS website - then do yourself a favour and spend some time exploring it over the holidays. The site is designed to support teachers working with students in Years 7-12 who are considering a range of relationships between science & religion. The site contains year group specific resources, videos, activities and 'quick reads' to bring you up to speed with latest developments in the science-religion debate. Not for Profit by Martha Nussbaum (2010). In this short and powerful book, distinguished philosopher Martha Nussbaum offers a deeply meaningful vision of education. She argues we must resist efforts to reduce education to a tool of the gross national product, but rather work to reconnect education to the humanities in order to give students the capacity to be true democratic citizens of their countries and the world. The DAN EO welcomes contributions to the What's On section of the DAN Website. August 2012: Philosophy & Ethics Student Conferences with Julie Arliss – Ethical Decision Making for the 21st Century. 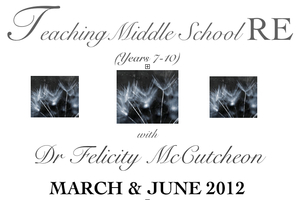 Keep an eye out for the 2012 Wombat Education series of Student & Teacher Conferences with Dr Peter Vardy.